Every form of motorsport has its own way of going about pit stops. 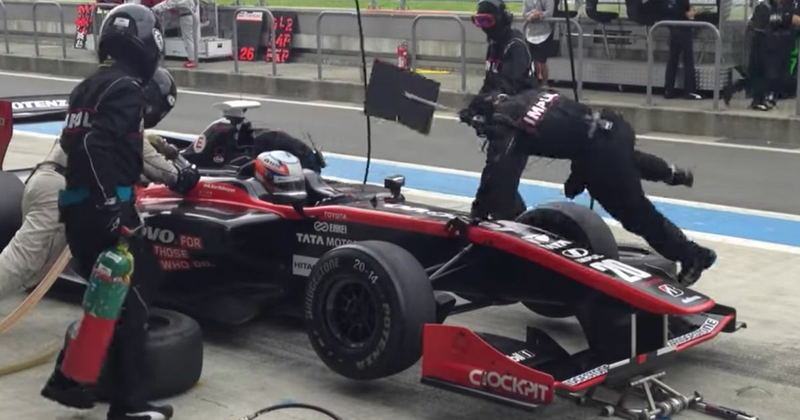 In F1, an army of mechanics can execute a tyre change in under two seconds whilst in some endurance series, the need for refuelling and driver changes can push stops up to over minute. In Super Formula - Japan’s top-level single-seater championship - things are a bit different. Only six mechanics are allowed to work on the car and three of them have specific roles which they cannot deviate from. That means teams have had to get creative with ways to save time, whether that’s by having a tyre changer pirouette across the nose of the car to save time or by introducing a robojack - and no, that’s not a character from a bad 1980’s action flick. This brilliantly informative video from StudioVRM breaks down the whole process, proving that there is indeed some method to the madness.